A trial has begun for a man charged with manslaughter in the 2015 death of a 6-month-old boy. Four years is eight times the length of Larry Earl Lord's entire life. But that is approximately the amount of time that has gone by since the 6-month old's passing. Much of the Maine boy's legacy is his death itself. He was the son of Anthony Lord, a criminal now serving two life sentences for a 2015 shooting rampage that left two people dead and four others hurt. Tuesday morning, the boy's death was the center of a second trial, this one for Jesse Mackin, the Millinocket man accused of killing Larry Lord. "Something terrible happened to Larry to cause his devastating head injury," said Assistant Attorney General Meg Elam, who is prosecuting this case for the state of Maine. At the time of Lord's death on May 7, 2015, Mackin was living with his then-girlfriend, Jamie Clark, in Millinocket. Prosecutors believe the series of events that led to Lord's death began on May 5. That's when Mackin fed Lord, changed his diaper alone, then brought him outside to throw the diaper out before coming back into the house. That's when, they say, the baby suddenly stiffened, prompting his mother to call 911. At hospitals in Millinocket, then Bangor, Lord never breathed on his own. Instead, swelling around his head increased, a skull fracture was discovered and he died. 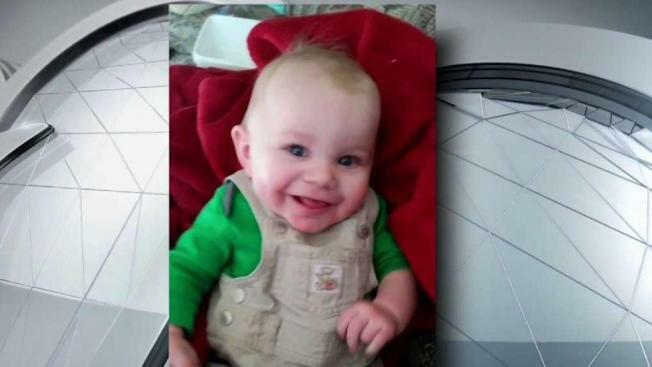 Prosecutors also say it was determined later that the infant's brain had been bleeding, and they believe Mackin was the only person with him at the time he was hurt. "Only the defendant, Jessee Mackin, could have inflicted the injury that resulted in the onset of symptoms," said Elam. Mackin has already pleaded not guilty. His defense attorneys told the court he'll explain why himself later in the trial and said the state's assertions were "jumping to conclusions." "Jesse Mackin will testify and tell the court he didn't do it," said defense attorney Steve Smith. Mackin's fate will be decided by a lone judge after a jury was waived for this trial. Family of Larry Lord was in the courtroom Tuesday, and relatives plan to stay for the duration of the proceedings. Though she declined to comment today, Lord's relative, Danette Robinson, explained in a 2016 interview why she wanted to be in the courtroom for any case developments. "Larry was six months and didn't really have a talking voice yet," she said. "That's what we're here to do ... be his voice." Since posting bail after his 2016 arrest, Mackin has been out of jail. His trial is expected to last through this week.